S. Mustapa, S.A., Kamal, K.S. and Zainul, M.Z. (2005). Rehabilitation of Heritage Building in Malaysia. 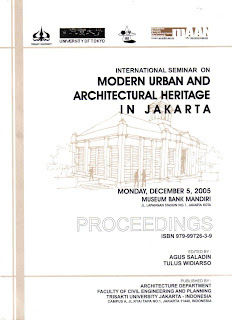 Proceedings of the International Seminar on Modern Urban and Architectural Heritage in Jakarta, 5 December 2005, Trisakti University Jakarta, Indonesia. Ms. II-126/II-133.